Today’s image, for Day 299 of the VM_365 project, shows six joining sherds and two other sherds from the decorated shoulder of the same Late Iron Age vessel. 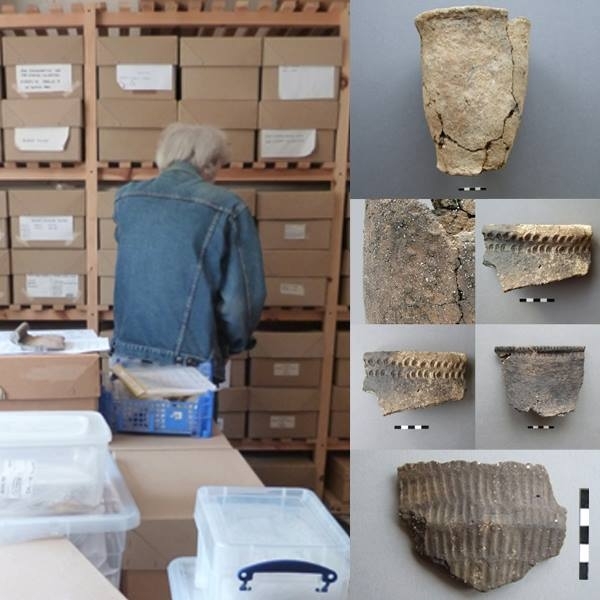 The sherds belong to the pottery assemblage that we have been examining in our VM_365 posts, all contained in the the box of archive from the 1964 excavation at Broadstairs. 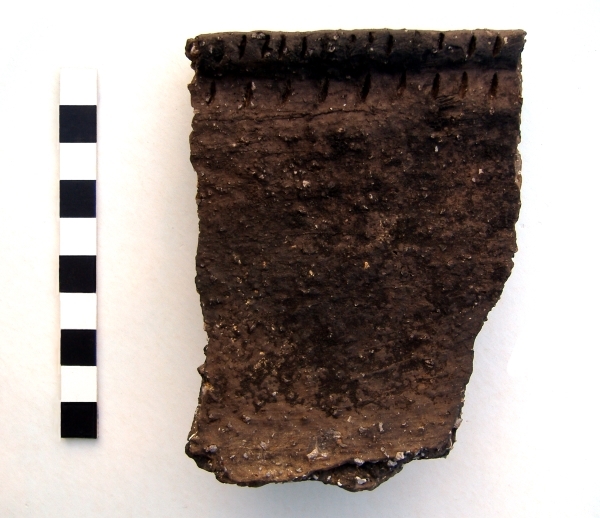 The sherds are from a large grog-tempered Late Iron Age ‘Belgic’ style storage jar, where a band of very fine horizontal combing has been applied beneath the plain neck and rim. In the upper part of the combed band there is a panel of diagonal decoration from the tip of the comb. 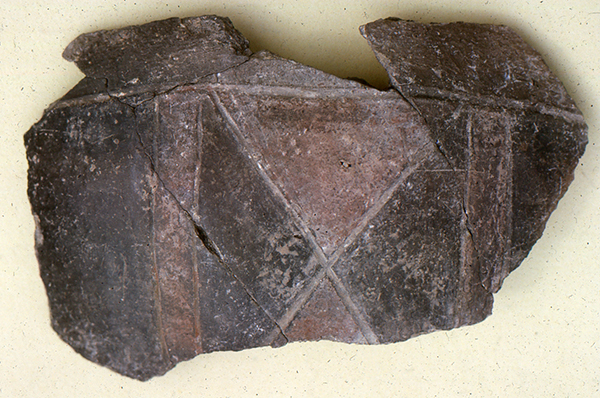 This type of decoration, a narrowish band of diagonal or more commonly crossing diagonals of comb tip impressions, is quite a common occurrence on ‘Belgic’ style storage jars of Late Iron Age or Early Roman date. 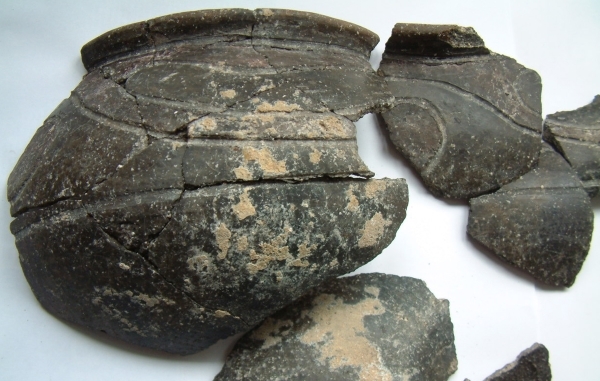 The sherds represent a vessel that probably dates to some time between 25-75 AD. Other VM_365 posts exploring the contents of this archive box have been posted on Day 294, Day 295, Day 296, Day 297 and Day 298. With thanks to Nigel Macpherson-Grant for kindly providing information on this vessel.